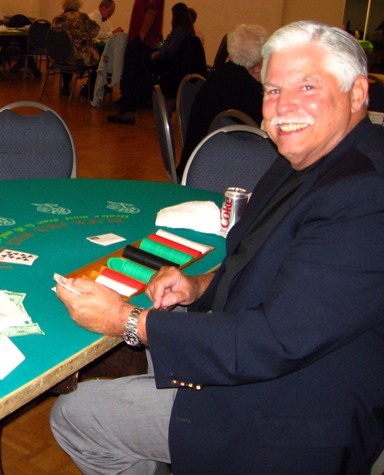 Ted Brengel dealing blackjack at Casino Night 2008. 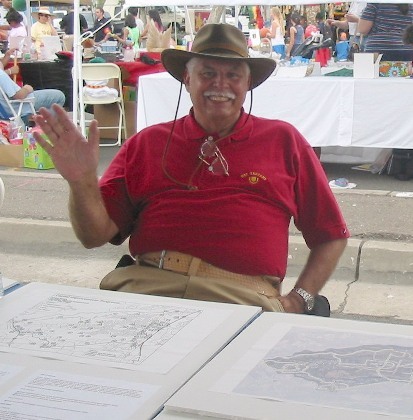 Ted Brengel at the Town Council/Planning Group exhibit at the Mira Mesa Street Fair 2006. The Volunteer of the Year for 2008 is Ted Brengel. Ted Brengel has been a member of the Mira Mesa Community Planning Group since 1995. He was elected vice-chair in 1998 and became chair in 1999 when previous chair Bruce Brown was appointed to the San Diego Planning Commission. He is currently serving his fourth term as Planning Group chair. He has also served on many Planning Group subcommittees, which work in detail on specific projects and issues. Ted is currently Mira Mesa Town Council second vice president (membership chair), a position he held from 1996-2000 and in 2002 and 2007, also serving in 2001 as MMTC Board Member at Large. He also served as the Fifth City Council District representative to the San Diego Government Transition Committee, which worked on implementation of the strong mayor form of government. Ted is one of those volunteers who is “always there” whenever there’s a need for someone to represent Town Council or Planning Group at a meeting or event, and he has spent many hours as a volunteer photographer documenting community events such as the Street Fair. He has served on many ad hoc committees such as the anti-graffiti committee and has volunteered for litter removal and many other worthy community projects. Ted gave this presentation on his 10 years as chair of the Mira Mesa Community Planning Group at the April 2009 MMTC meeting. The Volunteer of the Year dinner was held on June 6, 2009 at the MCAS Miramar Officer’s Club. Pictures below were taken by Pam Stevens, Steve Stutsman and Ted Brengel.